Kadri Ugand has been supporting startups in various ways and she is also an entrepreneur herself having co-founded companies in management consultancy and even fashion retail. Kadri’s energy comes from fresh ideas and inspiring people. She was a part of the team that created the Estonian startup competition Ajujaht and later ran it for a few years. This is also one of the reasons of co-founding GameFounders, the first gaming startup accelerator in Europe. 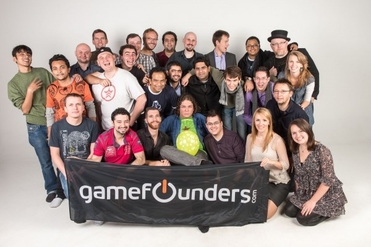 You are the co-founder of the accelerator GameFounders. Can you name some of the most exciting alumni games that have participated in GameFounders? Award-winning Huebrix, selected Indian game of the year 2013. Visually compelling Last Inua, published by Creative Mobile. Multiplatform real-time Project Tilt that has been the favourite in all playtests we have done. Do you love to play computer or mobile games in your free time also? Which ones are your favorite? I play a lot of the games by our teams, also I play games on the top charts to see what they are all about. Sometimes this leaves less time for me to play random games I like, which are usually mobile puzzle games. You have numerous business ventures under your belt. When was the first time you discovered you had an "entrepreneurship-gene"? The first time I realized I have to do something on my own was at my first job. :) It is weird since I was the first one in my family to be an entrepreneur, so this is not a gene I am afraid. What has been the best advice you have received regarding your ventures? Best advice (that I too, fail to follow sometimes) - Don’t rush into (full scale) things. When you have an idea, there are so many things you can do to test the market and see if it really works without actually establishing a company and starting a full-fledged production. Always think lean and test the idea more. You are also a little bit involved in the fashion retail. What is similar to the fashion industry and the gaming industry? The current Garage48 is focusing on women and their participation in the IT and business sector. Why do we need more women to take action? Imagine if we had more women involved in creating the products, that women use every day. Now we have the situation where a lot of sectors (including gaming) has men designing products and services for women. I am sure we will see more and different insight and innovation in the things we use every day. You have also worked with some very inspiring people from all over the world. Who has influenced you the most in your career? My current business partner Paul Bragiel has been a huge inspiration for me. Looking at his track record, he does crazy things, always finds solutions and networks the hell out of the globe while still staying very down to earth. Your message to Garage48 Women Special in Pärnu participants? Advice to Garage48 participants, men and women - don’t be afraid to test crazy ideas, that is what makes innovation.